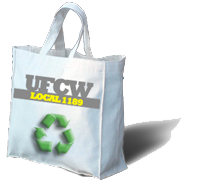 The United Food and Commercial Workers Union Local 1189 and St. Paul Food Employers Benefits website is designed to provide participants with easier access to benefit information. This website provides a quick glance at benefit definitions, frequently asked questions, general information about the Plans, commonly used forms, and more. A list of quick links is provided to the left for easier access. Click on an item to follow the link.